There are lucky ships that lived two lives. Some met accidents and were properly repaired. Some simply grew old but were modified and modernized. If not for the presence of IMO Numbers which are permanent hull numbers and reflected in maritime databases tracing them would have been difficult but not impossible. 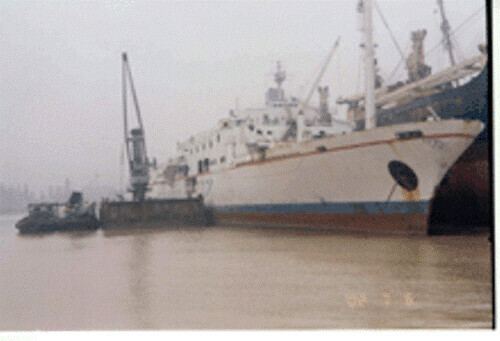 Some ships meet accidents like grounding and capsizing and this can easily happen to LCTs and barges which being flat-bottomed do not have the best stability in a heavy sea. But grounding and capsizing is not a big deal for them as they can be easily refloated, towed and repaired especially since they are equipped with watertight compartments that limit damage when the hull is breached. Having a high density of beams also helps to limit damage due to deformation of structures. If LCTs and barges are vulnerable then more so are the tugs. They can even capsize while pulling a stuck-up ship. Just the same this type is resilient to damage and can easily be refloated and repaired. Even if they are washed ashore or beached in a typhoon they will sail again like a phoenix. No wonder tugs live very long lives although they are small. Ferries are a different matter. They are not that resilient. Cargo ships are not much luckier too at times since it can be difficult to refloat them especially when loaded by a heavy cargo. With a cargo of cement that is next to impossible. Tankers are not that lucky too. In a fire or an explosion it is a clear goodbye. We have a few ships that grew old that were modified after laying up idled for years in some obscure part of a shipyard. One of those is the “Star Ferry-II”of 168 Shipping which was formerly the “Ace-1” of Manila Ace Shipping. Laid up for lack of patronage and suitable route she one year appeared in the Matnog-Allen route. 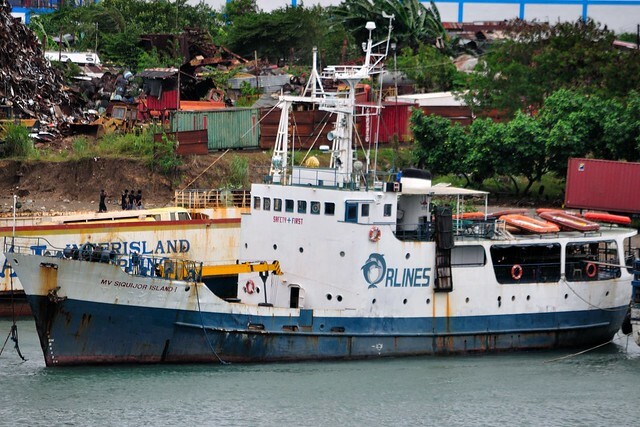 I interviewed a crewman and he told me the captain told them it was rebuilt from various parts thus confirming the suspicion of a PSSS moderator that somehow she has a resemblance especially at the bridge area to the “missing” “Ace-1” which formerly plied the Batangas-Mindoro route. 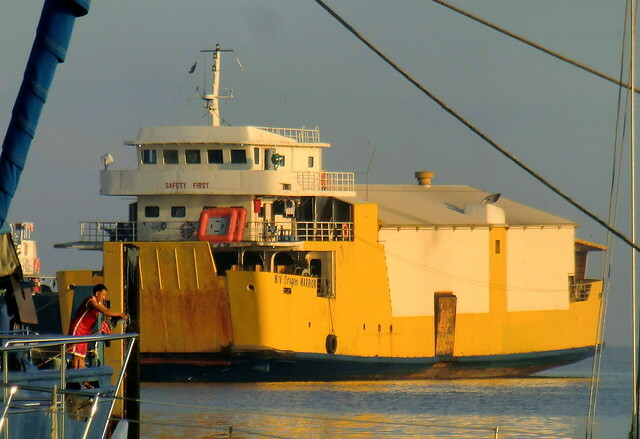 What is remarkable in her rebirth as “Star-Ferry-II” is she will defeat the claim of “Millennium Uno” of Millennium Shipping as the oldest conventional RORO sailing in the Philippines which means LCTs which are technically ROROs are excluded. “Ace-1” was built in 1961 while “Millennium Uno” was built in 1964, a clear lead of three years. Both are old and weak now but the debate between them will continue. 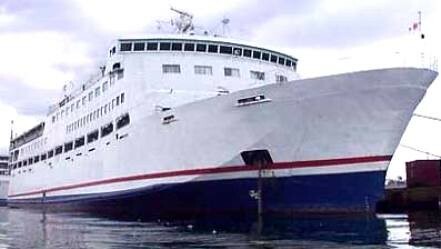 Nobody that will lay sight at “Lapu-Lapu Ferry 1” of Lapu-Lapu Shipping will ever think she is an old ship. And nobody will ever suspect she is the old second “Sweet Time” of Sweet Lines that seemed to have just disappeared in the Cebu-Bohol route. 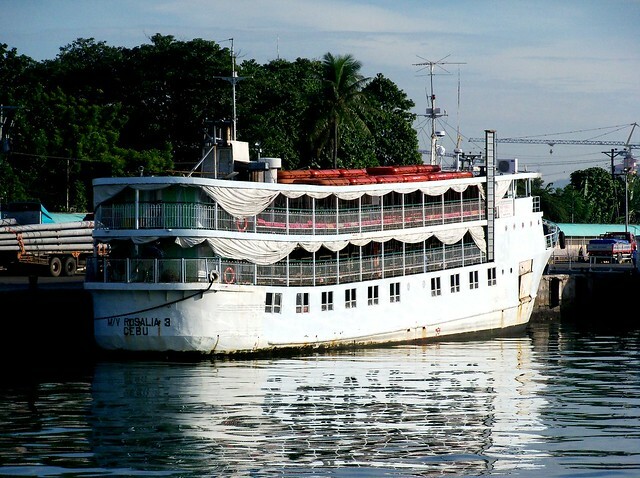 She was rebuilt in Fortune ShipWorks in Consolacion, Cebu in 2002 but what an incredible rebuild since she no longer has resemblance to her former self. She still retains, however her old Hanshin engine. When the overnight ferry-cruiser “Honey” of Lapu-Lapu Shipping disappeared there were questions where she went. 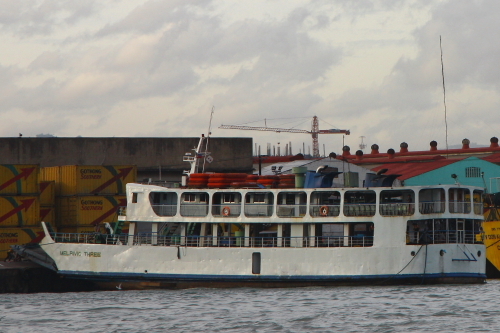 After some time a “new” “Lapu-lapu Ferry 8” appeared in the Lapu-Lapu Shipping wharf between Pier 1 and Pier 2. Later, we were able to confirm she was indeed the former “Honey” but what a change. There was also no resemblance to the old ship except for the bridge area as noted by another PSSS moderator. What is amazing is her length increased from 20.1m to 35.8m and her breadth increased too from 6.8m to 7.3m. It seems among shipping companies it is Lapu-Lapu Shipping which is the master of ship transformations. 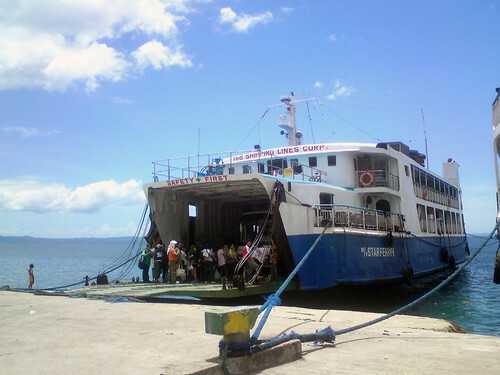 Their third ship, the “Rosalia 3” was converted from a former ferry sailing the Bantayan route which stopped operations when ROROs began ruling Bantayan Island. Actually as “Rosalia 3” it is already her third iteration since originally she was a single-screwed fishing vessel. 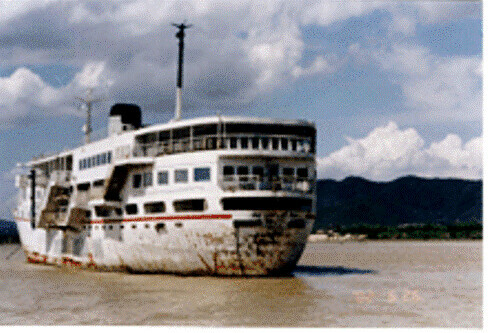 Converted to a passenger ship two more engines and screws were added. At full trot she can actually do 16 knots according to her captain and competitors wonder where such a humble-looking cruiser is drawing her mojo. 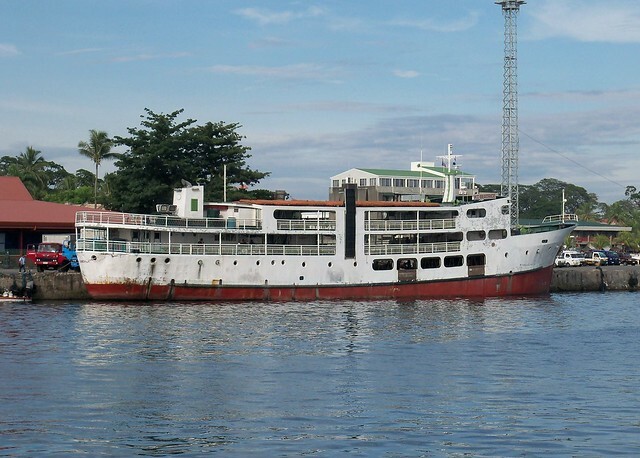 In Zamboanga there are ships too that disappeared and then reappeared in a different guise. 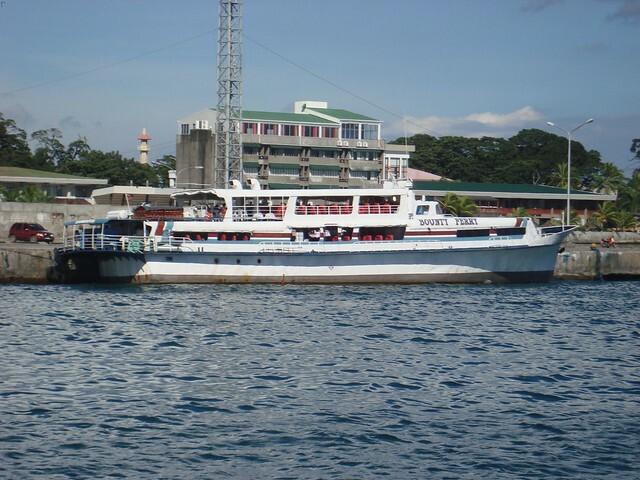 One of this is the “KC Beatrice” of Sing Shipping which was formerly the “Sampaguita Lei” of the defunct Sampaguita Shipping. Having her prominent features changed she does not look the dowdy old ferry she formerly was. Her engine was also changed. She disappeared for nearly a decade and she re-emerged in 2005. 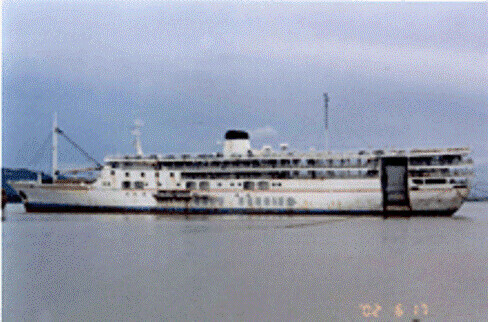 Another ship in Zamboanga City that was came back like magic was the long-missing “Rizma” of A. Sakaluran. There were two PSSS founders who were checking her being completed three years ago in Varadero de Recodo in Zamboanga City yet we did not suspect she was the former “Rizma”. We were just wondering then what former ship is “Magnolia Liliflora” as looking at her hull even in the dark we can make out she has an old hull. Now she proudly flies the flag and colors of Magnolia Shipping. There are ships that went through worse fates before being resurrected — they sank, were salvaged and were refitted. 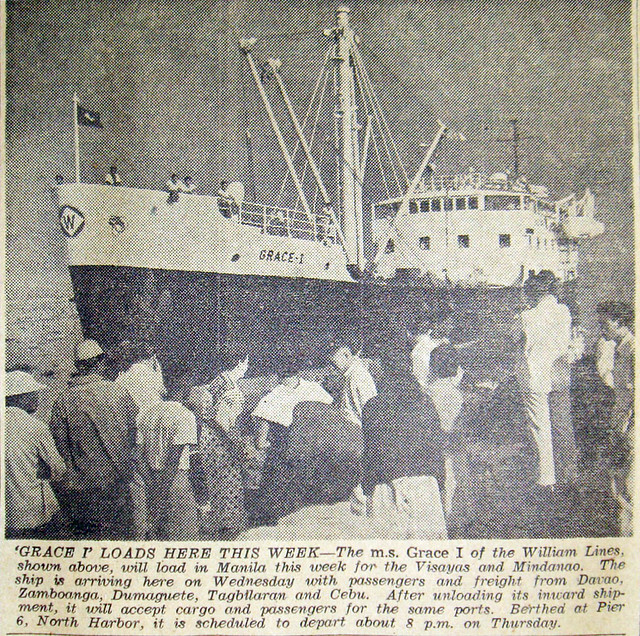 One was the “Mindoro Express” which sank in Palawan after being pulled-out from the Matnog-Allen route where she was known as “Christ The King” and “Luzvimin Primo”. 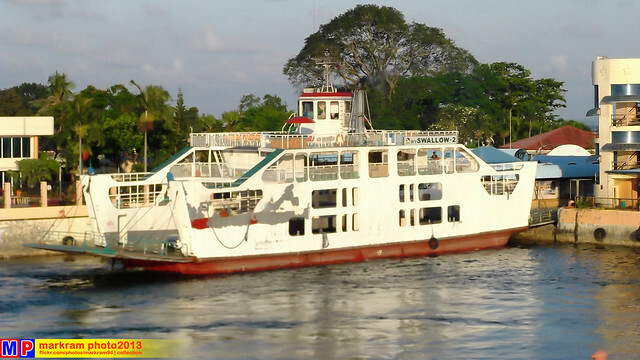 She was raised up, repaired and refitted in Keppel Batangas, superstructure was chopped and she re-emerged as the “Maharlika Cinco” of Archipelago Ferries/Philharbor in Liloan-Lipata route. 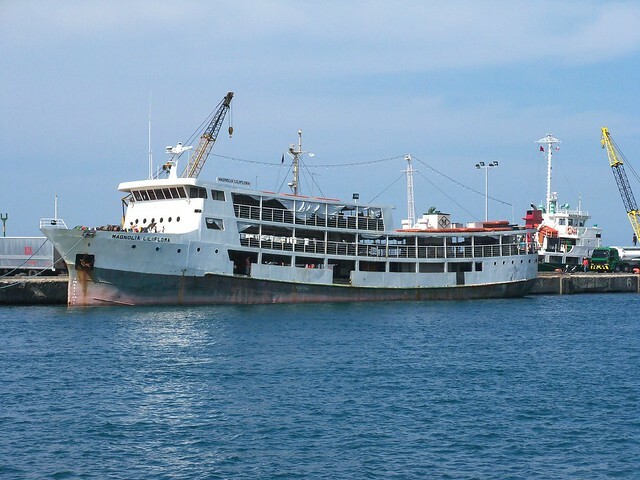 She is now missing again and last report was she was seen laid up in a shipyard in General Santos City. 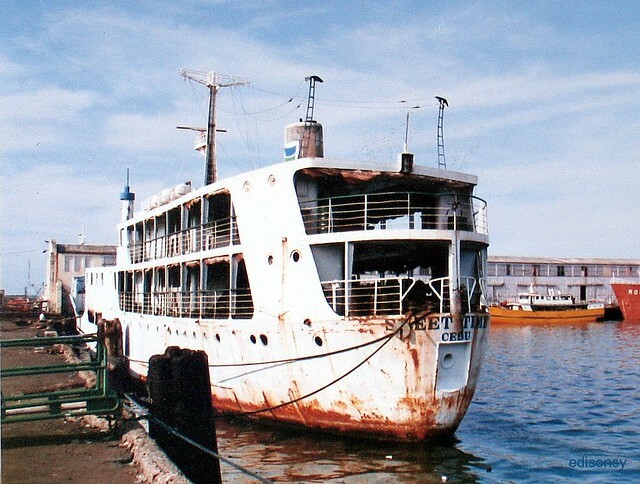 It was the same situation for “Joy-Ruby” of Atienza Shipping which was the former “Viva Sto. Nino” of Viva Shipping Lines. She sank stern first nearing the port of Coron and she was stuck up with the bow jutting from sea. 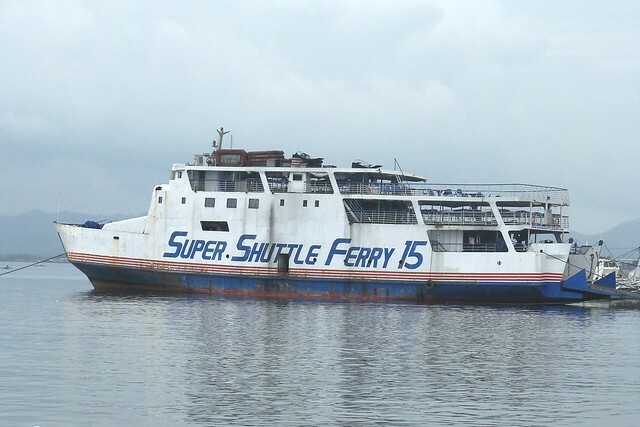 She was salvaged and repaired and she reappeared as the “Super Shuttle Ferry 15” of Asian Marine Transport in 2008 and plying the Mandaue-Ormoc route. 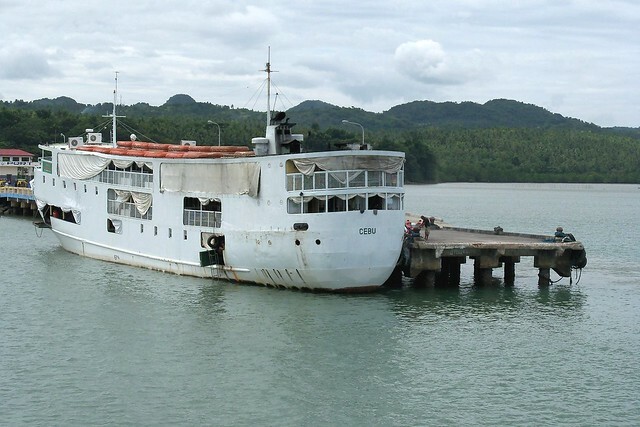 More than a decade ago, “Melrivic Three” of Aznar Shipping sank right after leaving the port of Pingag in Isabel, Leyte on the way to Danao. One of the passengers was to later become a PSSS moderator. He says the ferry did not completely sink and was later retrieved from the sea and repaired. This ship is still sailing in the same route. If you can’t put a good man down, as they say, that could also be true for ships. 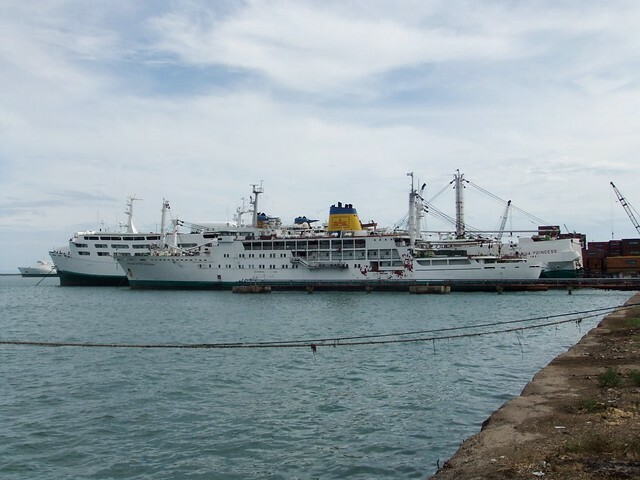 “Our Lady of Mediatrix” of Daima Shipping became the unfortunate collateral damage of the bombing of two Super Five buses aboard her while she was about to dock in Ozamis port one day in February 2000. 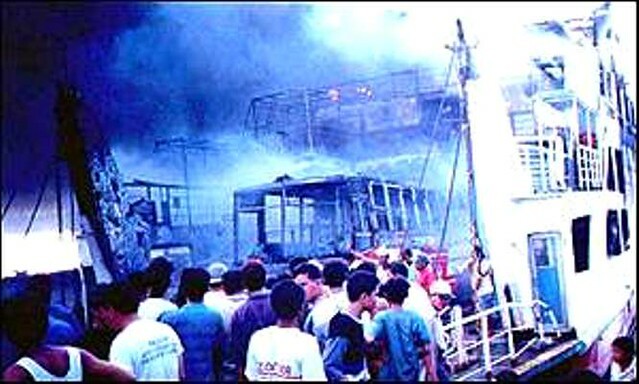 White phosphorus bombs were used and the two buses completely burned along with other vehicles on board. The bridge of the double-ended ferry got toasted along with the car deck but the engine room was intact. Laid up for some time she was towed to the shipyard in Jasaan, Misamis Oriental where she was lovingly restored and she emerged again as the “Swallow-2” of the same company. Her bridge was altered, people know her story but they don’t mind and they still patronize her although about 50 people died in the carnage she went through. 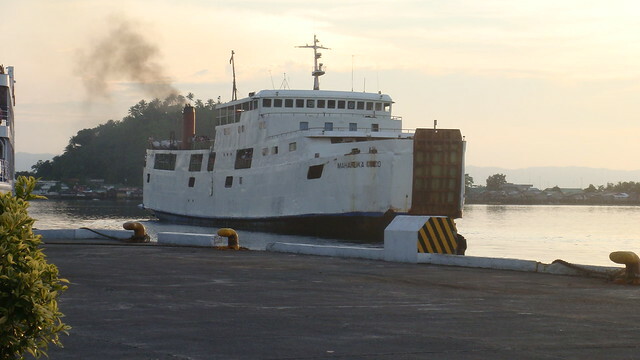 Compared to the tales of “Mindoro Express”, “Joy-Ruby”, “Melrivic Three” and “Our Lady of Mediatrix” ,the story of some LCTs of Asian Marine Transport and Jomalia Shipping that partially capsized near port sounds tame. There is actually not much difficulty in raising them up. Practically, those cases are not really stories of ships living second lives. There were also other lengthening or renewing of lives of ships. Siquijor-I is supposedly a former fishing vessel and training ship of Siquijor State College that was already laid up. How she ended as a property of the Governor then is another matter. 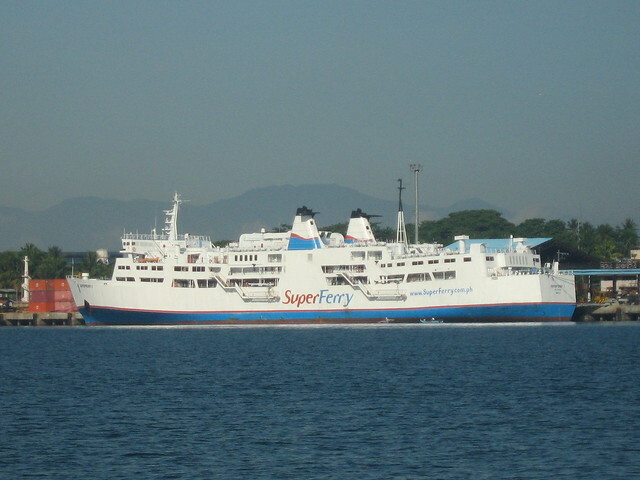 And then there is the SuperFerry 1 which within one year of sailing was hit by engine fire. She was towed to Singapore where she was re-engined and repaired. She came out then much faster. A special case was the partially capsized “Ocean King II” which was hit by a rogue wave in Surigao Strait. 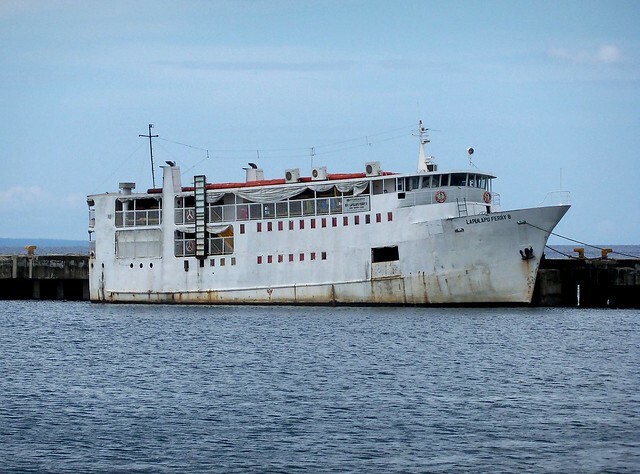 She was able to make it to Benit port where the Coast Guard made a big but wrong show of rescue (using rapelling ropes instead of just getting bancas nearly and urging all to evacuate at once when the ship would no longer sink as she is touching bottom). She lain there for some time until she was towed to Navotas. We all thought she will be cut up there until one day she emerged as a cargo ship and now named as “Golden Warrior”. There are others that merit attention here. 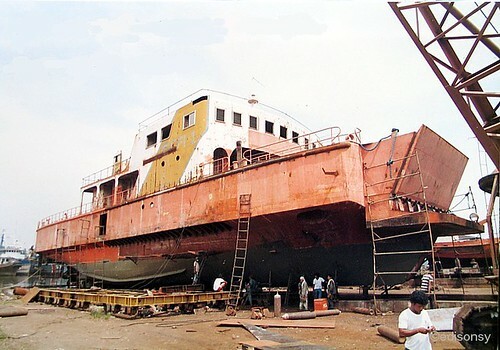 “Gloria Two” and “Gloria Three” of Gabisan Shipping were supposedly rebuilt from fishing vessel hulls and done in Leyte. That is also the case of “April Rose” of Rose Shipping which is now with Atienza Shipping. And the “Bounty Ferry”of Evenesser Shipping is supposedly built from a launch from the US Navy if tales are to be believed. Whatever the case may be, there are many ways of giving ships second lives. There is not much technical difficulties involved unless it is fully submerged and far from land. If near land what it needs is just some concern, a dash of love and of course, cash.